New open-source software mimics complex global hydrological models with extraordinary computational efficiency. Researchers tested a new hydrological emulator against model simulations of global runoff from river basins worldwide. Enlarge Image. Scientists use global hydrological models and Earth system models to explore future water resource scenarios. The computational requirements for these complex models can be prohibitive. To overcome this challenge, researchers at the U.S. Department of Energy's Pacific Northwest National Laboratory developed an efficient, open-source, ready-to-use hydrological emulator that mimics complex global hydrologic models and Earth system models. In simulations of global runoff, the emulator achieved computational efficiency seven orders of magnitude higher than the widely used Variable Infiltration Capacity (VIC) model. This open-source hydrologic emulator provides researchers with an easy way to examine the variations in future water budgets and hydrologic conditions under numerous scenarios with little effort, reasonable model predictability, and enormous computational gain. The new tool can be used to mimic Earth system models and global hydrological models, and to represent the water supply component in integrated human-Earth system models. It can also support research related to deep uncertainty analysis. These graphs show that results for the 21 water basins in the United States from the Variable Infiltration Capacity model compare well with those from the hydrological emulator in lumped and distributed schemes. This work is distributed under the Creative Commons Attribution 3.0 International license (Liu et al. 2018). Enlarge Image. Modeling hydrologic systems over the entire globe requires considerable computer memory and time. An emulator can be used when less detail is needed for the purpose, using fewer computer resources. Its less complex structure also requires fewer inputs, which saves users time. 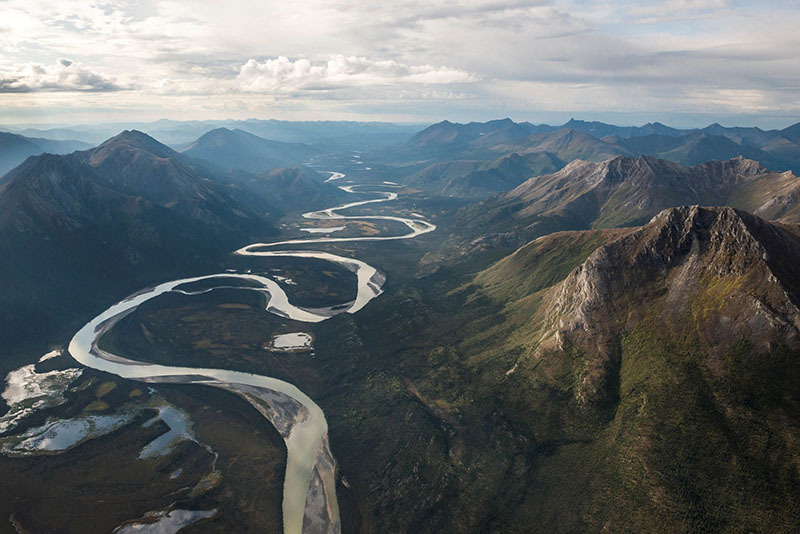 The researchers created an open-source emulator with distributed and lumped schemes, which do and do not, respectively, account for spatial variation within a river basin. Then they used the detailed and commonly used VIC model to simulate global runoff from 1971 to 2010 in the world's 235 river basins. 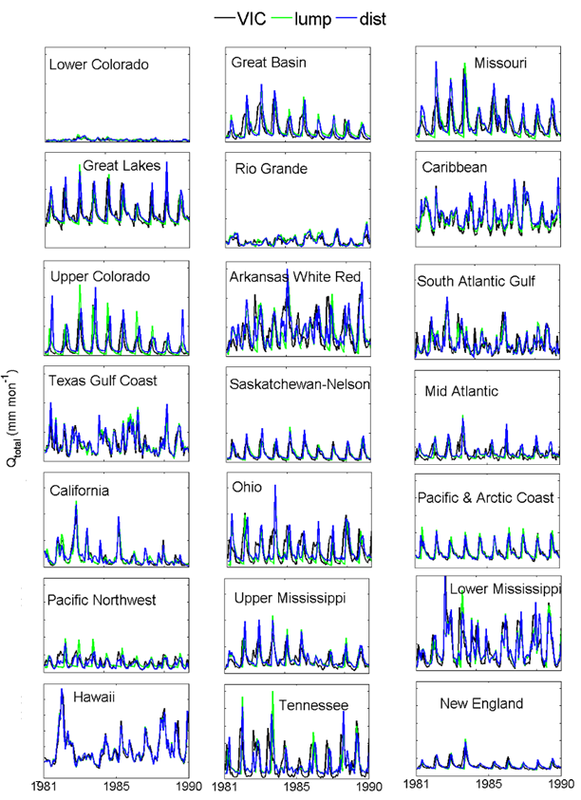 Results from the emulator were comparable in annual total quantity, spatial pattern, and temporal variation of the major water fluxes (e.g., total runoff, evapotranspiration). The lumped scheme was 100 times more computationally efficient than the distributed scheme, and 10 million times more efficient than the detailed VIC model. The lumped scheme is reasonable for broad practical use, and the distributed scheme is an efficient alternative if spatial variation is to be included. Sponsors: The U.S. Department of Energy Office of Science supported this research as part of the Multi-Sector Dynamics, Earth and Environmental System Modeling Program.